If someone asked me to name the greatest of films by Chaplin, I’d reply “all of them, every single one.” This is the case for me with very few filmmakers, even with one of my favourite directors “Jean-juc Godard” I could name a good handful of films I dislike. However with Chaplin I truly believe he hit the nail on the head every single time he directed a film. They are often the perfect mix of tragedy and comedy with some social commentary blended in for anyone who is clever enough to see it there. Above all they are very funny and I feel deeply entertaining. I fear that with entertainment slowly edging towards guns, drugs and violence being the only topics that seem to grab the attention of some people we will soon lose the appreciation for an old-time family friendly slap-stick genius like Chaplin. 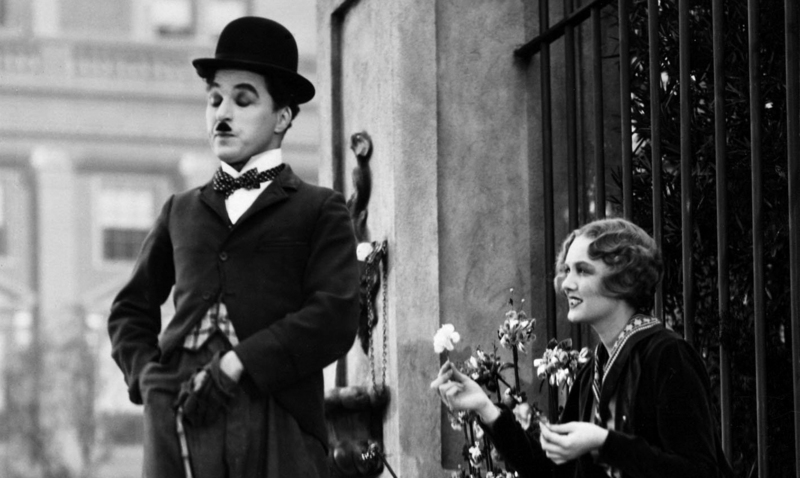 For me, “City Lights” combines everything that Chaplin was great at, from its heartfelt but comedic storyline to its beautiful score (composed by Chaplin himself) the film is a perfect movie-going experience. The days of offensive stereotypes and mindless toilet humour jokes were way off in the future. Chaplin composes brilliant set pieces that are clever as a concept, the kind of joke that visually sticks with you, things that audiences appreciated as an art of laughter. Unfortunately some films these days can make certain audiences laugh by simply dumbing down the entire world into one simple concept, something that takes no effort what so ever. Not only does “City Lights” appreciate its audience to an almost unheard of level in the present day, but it maintains a classic story telling aspect that is wonderfully constructed. Its story at times may make you laugh, it may make you cry, it may reinforce or deconstruct your faith in humanity, but it will always entertain you in a completely non-pretentious and respectful way. While viewing the film you will see just how much work has gone into its making, how every possibility has been explored to make the film as perfect as it can be. 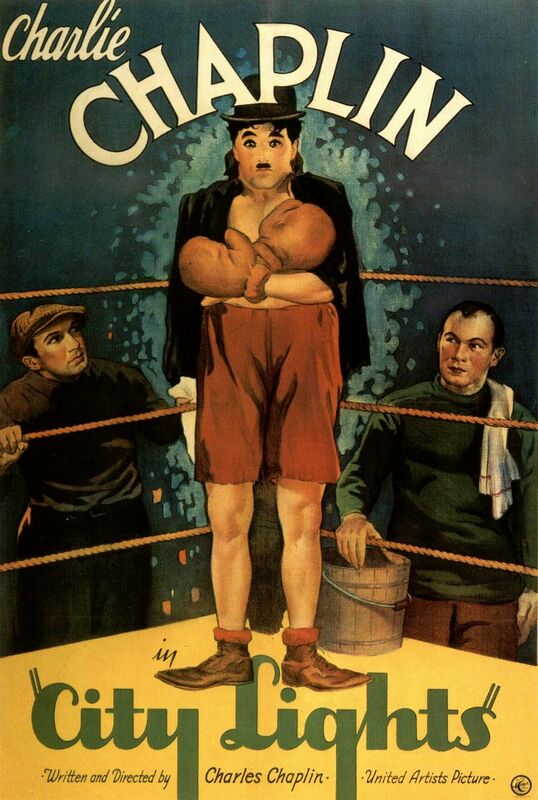 This is highlighted in a scene involving “The Tramp” in a boxing match. The scene has clearly been choreographed to perfection, the actors and writers have had to work for our laughter. In no way is the film ever lazy, this is what I respect the most. One Final point is on the films ending. The ending is much like that of Woody Allen’s “Manhattan” in which two characters are seem very intensely only from close-ups. This is extremely effective and evokes an emotion deeper than many other un-skilled silent films ever could. The scene ends on an uncertain note but one that sums up the entire film to an expert level, tying up the film in the most perfect bow. “City Lights” is the kind of cinema I am doubtful we will ever see again. There may be some audiences trained only by conventional cinema that will not appreciate this film, but I would erge them to look deeper, to really see the beauty of the story and the devotion that Chaplin so clearly put into “City Lights” and all of his other films. “City Lights” is one of the real, landmark greats. Chaplin gets less regard these days, especially from younger contributors, so it was interesting to see this review of one of his best here. He pioneered so many techniques and ideas we all take for granted these days, and it is easy to forget that he was the original. He also wrote the music for the famous song ‘Smile’, a man of many talents. Thanks for this trip back to the silent days, most enjoyable. As a kid, I have always watched Chaplin movies on sunday mornings on tv with my sister and my father. I loved watching them, but I can’t remember if City Lights was among those. 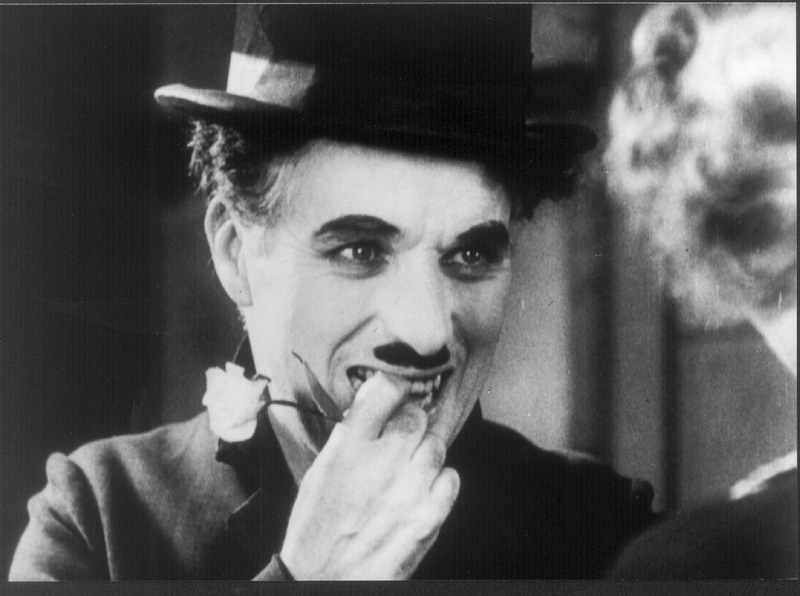 Chaplin is maybe the greatest artist of all time. With such simple things he managed to make everyone laugh. I made a presentation about modern times last year, and realized how great his work is! He is simply the best. Chaplin is the greatest actors love him so much!